George Musulin and Robert H. McDowell. Photo courtesy of George Vujnovich. Aleksandra's Note: The following is the declassified OSS Report of M/Sgt Michael Rajacich of the Halyard Mission under Captain George Musulin and the Ranger Mission under Lt. Col. R. H. McDowell. 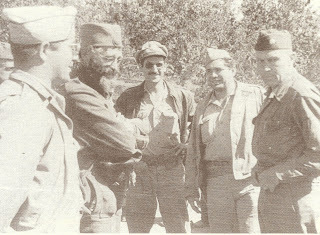 M/Sgt Rajacich was sent to the Begrade area in Serbia at the beginning of August of 1944 as part of the Halyard Mission Rescue Operation team that consisted of Captain George "Guv" Musulin and OSS Radioman Arthur Jibilian. The report is not dated, but Rajacich lists dates in September 1944 as he reported what he observed while traveling throughout the Belgrade area. In October, with others, he began a trek to Bosnia, arriving in Boljanic, about fifty miles from Sarajevo, on October 22, 1944. From Boljanic, with others, he was evacuated on November 1, 1944. 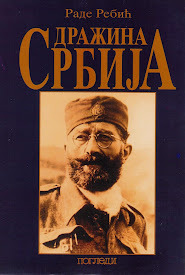 "I think Rajacich's entire report is significant because he spent time with Serbian forces in Serbia who were fighting the Germans months after Mihailovich had been abandoned by the British and accused of collaborating with the Germans." The undersigned was born and reared in Chisholm, Minnesota, graduated from Chisholm High School, worked in the iron ore mines, attended Hibbing Junior College, later on a scholarship attended the University of Belgrade in Yugoslavia from 1934 to 1938. From 1930 until entrance in the service July 22, 1943 was Junior Administrative Assistant in Office Chief of Engineers, War Department, Washington, D.C. as Civil Service employee. 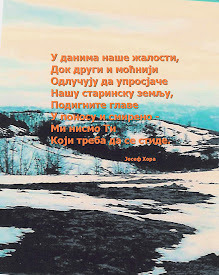 Parents of the undersigned are of Serb origin born in Lika, Croatia under the then Austro-Hungarian Monarchy, father left for the United States in 1896 and mother some years later. Neither of the parents had ever visited the land of their birth since. The father died in Chisholm in 1924. 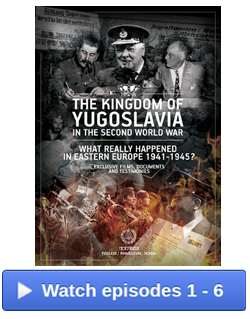 While attending the University of Belgrade the undersigned became familiar with the economic, social and political problems of the country also meeting and knowing many persons of various ideologies how throwing their lots with the Partisan National Army of Liberation (under Marshal Tito) or the Yugoslav Army in the Fatherland (under General D. Mihailovich). Being unbiased to any of the parties concerned the undersigned volunteered his services with the Army in the Office of Strategic Services [OSS] to be of any assistance in the United Nations war effort to the people from an American point of view. Originally assigned to the ACRU (Air Crew Rescue Unit) mission to the Nationalists (General Mihailovich) the undersigned was transferred to the Ranger Mission headed by Lt. Col. R. H. McDowell. The ACRU Mission made parachute drops into Nationalist territory night of August 2, 1994. Between September 2 and September 9, 1944 upon orders from Col. R. H. McDowell, head of Ranger Mission, I covered the regions through Kostunici, Brajici, Srasla Bukva, Ba, Poleznica, Kadina Luka, Gukosi, Brancici, Ivanovci, Poljanica, Sutci, Belanovica, Moravica, Lazarevac, -jig [?] 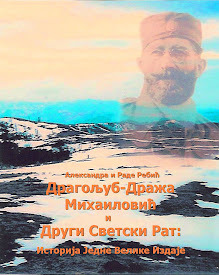 and return across Suvoborski Put and Ravna Gora in Serbia to study and observe the situation. I personally observed the results of Nationalist attacks on September 2, 3, 4 on German garrisons and posts. I saw the evidence of the battles, German dead, spoke to wounded in hospitals and to 250 Germans who were taken prisoners in all these attacks. Captain G. Topalovich, commandant of the Rudnik Group Corpuses, a young able and energetic officer of the former Yugoslav Army gave me free access to anything I wanted while in his area. 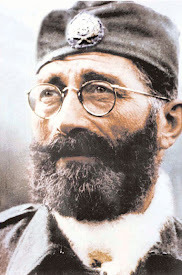 He joined the Nationalist resistance movement in 1941 and fought against the Germans steadily since, by attacking trains going to and coming from Belgrade. He and his flying brigade have the utmost respect of the people, according to their tales about him. Other commandants would be furious because Captain Topalovich and his men would unload trains that could have reached their areas, thus giving them some of the spoils, too. On one occasion he held up the freight train, unloaded a large printing press and paper. In his operations, if the Germans operating the trains resisted after being held up he would fight them, tear up the railroad tracks, take prisoners, exchange them for German-held hostages, kill wherever necessary to weaken the enemy, and simultaneously with guerrilla tactics protect the population in his area. He seldom fought against Partisans relating that they were only using “troikas,” three-man squads, which would occasionally penetrate and cause contusion in some small unprotected villages, although he admitted having some conflicts. The first place I saw after an attack was the railroad station and junction at Kadina Luka. It was well protected by a German garrison comprising 86 men, mostly Prussians, formerly German Air Corps. There are bridges with bunkers on each side of the station, bunkers below and above it. German quarters and a radio station with men and officers were directly across the street from the RR station. 120 nationalists with machine guns, severed all communications, the local people tore up the railroad tracks two miles on each side of the station. They sent an ultimatum, by a peasant, to the Germans for unconditional surrender or to suffer defeat with arms within fifteen minutes. The translator of this message was the station-master, Radosavljevic, who related the whole story to me, himself held hostage by the German Commandant, a Captain, during the pitched battle that ensued. Later, they gave me the commandant’s dagger. The battle lasted for eleven hours, the Germans got reinforcements from Laikovac with an armored train and fifty men. Fifteen Germans were killed, 15 taken prisoners, the remainder escaping to the armored train. I saw and talked to three Germans, wounded in this battle, who died from the wounds in Kadina Luka the following day. The Nationalist[s] had one dead and ten wounded, they captured a radio station, 2 machine guns, and ammunition. The railroad tracks were then being destroyed everywhere along Kriva Reka, Ogrinovci, Ljig, Kadina Luka, Laikovac, and all transportation and communications were put [out] of order indefinitely between G. Milanovac and Laikovac. Simultaneously, Capt. Topalovich and his men attacked, at Ugrinovac, the freight and passenger train, carrying 300-400 Germans who left Sarajevo. The train was destroyed, 50 Gemans killed, many were wounded, the majority dispersed into the woods, surrendering to the Nationalists after two or three days in the woods. In the train attack, Col. Marisav Petrovich, chief of Staff of Ljotic troops, dreaded native quisling, was mortally wounded. The German garrison at Veliki Crljeni was disarmed where 80 Germans were taken prisoner. On the 2 and 3 of September the power plant at Vreoci, which supplied a section of Belgrade with electricity, was attacked and put out of order by the Nationalists in coordination with Capt. Topalovich’s plans. The bunkers and walls were destroyed, 60 Germans were taken prisoners. Throughout the 2, 3, and 4 Sept. Lazarevac was blockaded by the Nationalists cutting all German communications. 210 Germans, caught in the trap, chose to fight it out. 300 Nationalists surrounded and, after street fighting, forced the Germans to withdraw into the Lazarevac hospital. The building pierced with holes, on all sides, the interior heavily damaged, the Germans defended until their ammunition was exhausted. In Lasarevac I was received with an enthusiastic welcome on Sept. 7 having dinner in the house of Rev. Petrovich as a guest and host of Commandant Vujnovich, civilian leader of the Kacerci corpus. Upon entering the town there was a large reception with Yugoslav and American flags. 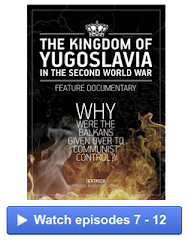 In talking to various people, a young lady, rather pretty and bearing a bad scar on her forehead, related, “When the Yugoslav people rose to break the pact signed between Hitler and the Cvetkovic government, we, the nationalist youth, displayed our joy. 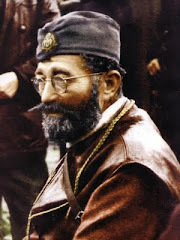 "On March 27, 1941, in our manifestations we paraded the streets of Belgrade. I personally, was waving British and American flags when I fell from a blow over the head from the hand of a Communist whom I recognised. The communists were against our favoring the great democracies so we cannot expect anything good to come from them (the Communists) now." A young woman, Dr. Vasiljevich, worked energetically taking care of the wounded. I visited the hospitals and saw wounded Germans and Nationalists in Lazarevac and Belanovica. They badly need supplies and surgical instruments. I spoke to some Nationaliats who had earlier been with the Partisans. These spoke freely and stated that the Partisans forced them into their army, also telling me of their propaganda and methods. I inspected the school house in Belanovica, used as a concentration camp, and spoke to some 250 German prisoners, taken in these battles. Among them a young lad, born in Germany and who had lived in Detroit many years, acted as my interpreter. Through him I learned that the majority of their soldiers still believed in Hitler’s miracles to produce victory. The only complaint they had was that the Nationalists took their good clothes and shoes away. They were fed as well as could be expected and were allowed to work on roads and civic improvements of the community. After seizing and expelling the Germans out of the towns the Nationalists immediately set up their local civilian administration - a council, court with jury, and economic boards. I attended some of their meetings, accepting their invitations, and found that they handled all cases democratically. These councils, juries, and boards consisted of intellectuals and peasants alike and there appeared to be much more harmony among them than I had witnessed in some instances, in my earlier visit to the country during peacetime. The people, as civilians, were determined to be democratic and unbiased in their legal procedures feeling that justice, equality, and free expression should prevail. On the whole, the Nationalist military are loyal to the King, are followers of Draza Mihailovich, and the democratic principles of warfare as prescribed by the Geneva Convention. Their morale was very good. At this time they were determined to fight Germans and Partisans to the end. BBC, Radio London, the latter part of August contributed [attributed] the above Nationalist actions to the Partisan Army of Liberation. My findings were that there was absolutely no Partisan activity against the Germans in this entire area up to and during this period. The Nationalists, that is, the Yugoslav Army in the Fatherland, under Gen. D. Mihailovich carried out the attacks on their own initiative. On 17 September 1944, plans were undertaken for a trip to Belgrade and vicinity from Draginije, some twelve miles from Sabats. Two lawyers, underground men for the Nationalists operating in Belgrade, and my body guard and I left the same day by automobile. They, as well as I, were warned by General Mihailovich not to take any adventurous chances, that is to go through German-occupied cities or strongholds along the way. I travelled in uniform. Talking to my new lawyer friends along the way up to Sabats I learned very much, among many things, that they knew quite a few former friends I had in Belgrade where I had studied from 1934 to 1938 at the University. I was further surprised that many were now working underground against the Nazis; they were known as men of DM, meaning Draza Mihailovich. These men told me that they had to be very careful in their sabotage operations, dealings with anybody, and meetings with the High Command of the Yugoslav Army in the Fatherland. I later learned of some of their work through talking to more of their kind. They didn’t want any publicity, good nor bad. Everything they did was in strict silence and nobody could be trusted, less they be exposed, and their work against the Nazis hampered. I promised never to give them away. On the way we changed our plan of travel, that is, instead of circling around Sabats and Obrenovac we decided to go directly through the towns. Sabats had only fifty German soldiers, this included their sentries, and we could get by them with ordinary bluff. Quickly I put over my uniform a topcoat and a green hat in place of my overseas hat. Nearing the sentries we picked up a Nedich sergeant who had been working underground for the DM’s for 3 ½ years. He sat in the front seat and directed passage through Sabats and Obrenovac. He was well-known in the area by both Nationalists and Germans and he showed and proved to me that he was using a false name. His services were very useful to the Nationalists: as he knew every move the Germans were going to make on the road. 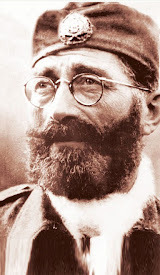 Confidentially I was told of his heroic work, how he lured German trucks with food and arms into Chetnik-controlled regions, the German soldiers in many cases being killed, their loads taken by the “Shumars” or Yugoslav Army in the Fatherland soldiers who use the trucks wherever possible for corpus transport of troops. The spoils were given to the town commandants for distribution wherever needed most. He mentioned several times that they didn’t want publicity or advertisement because their roles as undercover men and saboteurs would then be exposed. Our car slowed down when we approached the sentries, the Nedich sergeant laughed and cussed the Germans. At the same time he told the driver to step on the gas. The same thing was done when we went through Obrenovac. After going through Obrenovac and crossing the bridge over the Kolubara without being stopped, I let [out] a sigh of relief and asked the sergeant how he would get back. He said, “a job is a job and as long as mine is to make fools out of Germans, I’ll pick up a truck going back.” The sergeant wasn’t cocky in his mannerism but rather resigned to giving his all by using wits to outdo the common enemy in his own way. We got off the main Obrenovac-Belgrade highway now and continued to skirt around coming into Kotanica, Stjepovrac and Ripanj. This entire area was controlled exclusively by Nationalists. Germans hadn’t been in these parts, I was told, since the latter part of 1941 and only tried to control it by native quislings who were unsuccessful due to the infiltration of Nationalists who went underground. Speaking to everyone-peasant, soldier, and housewife-freely, I learned that they had a strong dislike for the Partisan movement because it was an accepted fact that they were trying to enforce communistic rule with individual intrigue, that is, by those professed Communists who had placed themselves at the disposition of the Gestapo at the time of the German-Russian accord and became double agents, serving the Germans and Communist Party. I shall have to withhold the names of the Nationalist men as they don’t care for publicity and are still working conscientiously for the Nationalist cause. These individuals are known by their real names only in their intimate circles. They told me many interesting stories in their struggle against the occupier, about their underground organization in and around Belgrade, their inclusion of certain men and individuals who, in disguise of Nedich uniforms, sabotaged wherever it was possible and necessary, by using the most unscrupulous methods to divert Nazi attention to jealousy among themselves, forging documents, permits (government and private), creating and causing distrust among German officers and soldiers. Their work was chiefly to demoralize the enemy, especially during and after Allied bombing raids on the city. In every important government ministry or post the DM’s had an undercover man. Since the first Allied bombing of Belgrade, German soldiers seldom left their buildings alone. Messengers and couriers were always accompanied by five or six guards. Many times within the city in the middle of the day, German couriers and their guards disappeared. 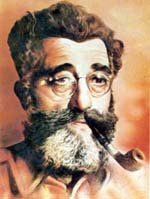 As one man put it “our group averaged fifteen dead Germans every day for the last two years; we stripped them of their clothing, shoes, arms and every means of identification and sent them down the Danube with their throats cut.” He emphasized that publicity would be detrimental in their work and that communist double agents assigned to infiltrating into Nationalist channels had no success. bodies were burned and the fields have been plowed over and seeded with grass where their ashes are buried, so that there can be no evidence similar to the Poles executed by Germans, in turn, accusing the Russians. At Ripani, I visited the hospital where I found an American airman, Lt. William Rogers, whose bomber fell at Zuce, near Mt. Avala in the vicinity of Belgrade. His team, with the exception of one who fell into German hands, was evacuated through ACRU in Nationalist channels. The DM (Draza Mihailovich) organization with their doctors and staff were taking good care of him and giving him all attention possible. In connection with him, I was related the following about the rescue of the bomber crew. 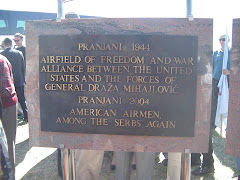 The same day two German transports with gliders were brought down in the Zuca area, near the Belgrade-Smederevo highway. A German force was sent out to rescue the survivors and the Nationalists thought the Germans were coming to gather the American crew. After stubborn fighting the Germans were driven off, five of their dead left behind. The American crew, with the exception of one, was saved, one nationalist was killed and two wound in the fighting. Later the German transports and gliders were found burned with charred bodies so that it could not be estimated how many Germans were actually killed in them. I again visited Lt. Rogers on my return and found that he could not be removed without a cast but I did tell him that I would report his case to ACRU and try to arrange for his evacuation as soon as possible. The doctor asked me to let him know within two days of his evac and that he would provide for a cast. During my five day trip through this area I crossed the Avala highway four times, passed by German sentries and along several German convoys which were withdrawing by highway using camouflaged motor vehicles and horse-drawn artillery. I estimate at least 3,000 quarters in Belgrade. Brandt, the Gestapo chief, stated that “he had more work now than ever.” The very next day a general sweep on Belgrade people found twenty-six more Nationalist[s] detained for interrogation, among them Alexander M. Mihajlovich (no relation to the General) commandant of the Belgrade Group Corpuses who broke away when two Gestapo agents taking him to HQ were attacked by undercover men belonging to DM organization. I saw and talked to him the next day and spent four days travelling with him through his group corpuses. The Germans had their concentration camp originally at the Sajmiste or Fair Grounds. Special “lagers” marked “DM” (meaning Draza Mihailovich) were for the Nationalists, those working for or sympathizing [with] the Yugoslav Army in the Fatherland. This “lager” was always full. People brought here were held for a few days, later being transferred to Banjica and Jajinci where they were killed. Another “lager” in the Fair Grounds was marked “communists” and usually had only a few occupants branded as such. The communist double agents, working in the Gestapo, exposed only the Nationalists as subversive elements, reporting them to Gestapo authorities, even such innocent people as Dr. George Tasich, U. of Belgrade Law professor, who, after being confined for 2 ½ years, was executed by Germans early in Sept. 1944 without a trial. The Nationalists told me that they have the names of all the people who had been killed by the Nazis in the concentration camps around Belgrade. They also claim to have a record of all the Communists working as double agents for the Gestapo. 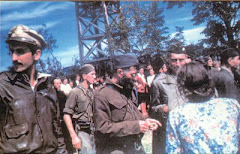 It is estimated, as reported by the Nationalists, that 120,000 Nationalist political and military sympathizers and supporters have been killed in Banjica and Jajinci alone, without trial, by the Gestapo up to September 1944. Their troops the [?\ first time; they appeared to be parked on the highway along Mt. Avala awaiting darkness to escape Allied strafing. As soon as darkness set in, the convoys on both the Avala and Belgrade-Smederevo highways moved into Belgrade and crossed the Danube on pontoon bridges toward Pancevo. My disguise was a topcoat and green hat over my uniform. Our car was not stopped by anybody and we immediately cut into Kumodraz, 6 kilometers outside of Belgrade. While at Kumodraz I visited the entire area and stopped in the villages of Vrcin, Zaklopac, Zuce, and V. Mokri Lug. Everywhere I talked to people of all walks of life. Many were ordinary peasants who didn’t belong to any side or party but whose main interests were preservation of their own lives and property. These talks revealed that the people were very tired of the occupier yet dreaded the thought of a civil war fearing that nothing could be gained. They freely expressed themselves against any form of dictatorship. Up to this time I can frankly say that propaganda, from Radio London, for example, broadcasting King Peter’s declaration to join the Partisan movement, nor German propaganda emanating from Belgrade Radio, for example, advising the people to defend Belgrade, their homes and families against the Red Army invasion forces, did not shake the populace. They remained cool and collected, and tried to reason their national plight and situation with their own common sense and information at hand. The youth organization belonging to the DM’s (Draza Mihailovich) amazed me. Their individual leaders attracted my interest deeply because of their indomitable spirit in carrying on their work under most difficult circumstances. In one instance, three youths, whom I judged to be between 17 and 20 years of age, talked to me for three hours on the kind of federative, democratic post-war Yugoslavia they felt that they should have. Repeatedly, they insisted that they would continue with their predecessors in the woods and fight until their goal was achieved. They told me of their daring exploits in sabotage against the occupier, in one case, the manner in which they took off with a complete printing press, passed by Germans and had it set up in the woods. In answering my question as to their number and strength I was given about 2,000 in Belgrade and vicinity alone, among them young high school intellectuals, apprentices and peasants. They took pride in their work and told me that they were following the footsteps of their ancestors in search of freedom and liberty endeavoring to prepare their generation as well as future generations with a new state that would guarantee them every security in advancement and progress with other democratic nations. In Kumodras I learned the true story of the Nationalist theft of 650,000,000 dinars. The man giving me the details was one of the special representatives of General Mihailovich who late in 1943 attempted to make a loan from the National Bank in Belgrade for 50,000,000 dinars. Employees in the bank, working underground for the Nationalist cause, had no difficulty in arranging for the loan, even in getting Nedich’s signature of approval. However, the Germans were quick to trace this and disapproved the loan, using violent methods, first replacing most of the chief employees and arresting other principals connected with this incident, also jeopardizing Nedich’s position. However, the DM organization kept a vigilant eye, for the Nationalists needed the money as a medium of exchange among the business men and peasants for use of their army in the forests. It was learned that the truck carrying money would leave the mint for the National Bank the 1st week in August. DM’s undercover men immediately were on the job, held up Nedich and German guards, used side-roads to get the truck outside of Belgrade, loaded the currency on pack horses and returned the guards unharmed with the vehicle to Belgrade to save Nationalists in the city from reprisals. This currency was to be put into circulation after September first. After counting the money, 650,000,000 dinars in all, General Mihailovich signed a receipt for it and rushed his undercover envoys to the National Bank to cover the principals involved, simultaneously he outwitted the German authorities before they had an opportunity to cancel the stolen money. The General receipted for the money and thus legally cleared the National Bank, himself assuming the responsibility to the people. The incident placed German authorities in an embarrassing position because many high Nazis had more faith in the dinar, dealing with black market, etc., than they had in the occupational mark as the monetary transaction accepted by the people was in dinars rather than German paper. The accepted rate fluctuated between 1500 to 1800 dinars to an American dollar at this tine. Salaries of government and private employees until September varied from 5000 to 15,000 dinars per month. In these positions, school teachers, engineers, professors and doctors are included. The cost of living was very high in comparison to the earning power. It might be interesting to add that the stores and restaurants had an over-abundant supply of various commodities up to and during this period. Another incident that took place while I was in the Kumodraz area, the Nationalist underground men stole from the Germans 2000 kilograms of lard, 1000 kilograms of sugar, 2000 litres of benzene which was immediately forwarded to the High Command in the forests. This, I saw on trucks and wagons as they passed by me on the road. Speaking to high school and college youths I learned that the German position inside Belgrade was weakening and nearing collapse. Yet they feared that another “Warsaw” would happen if the Germans were attacked all-out too soon. During my tour in the Belgrade vicinity and local villages in that area there was absolutely no German control or troops nor Partisan activity, not even penetration of their “troikas.”. It was also of interest, to me, to learn that the mothers of two Partisan leaders in the AVNOJ lived with the Nationalists in this area unharmed, and treated with utmost respect as co-workers for the Nationalist cause although they did not meddle or figure in politics nor were they ever used in that purpose in publicity or propaganda. Major Alexander M. Mihajlovich accompanied me on my return to the GHQ and due to Partisan penetration into Serbia and Nationalist attacks on objectives everywhere in this region, I saw occasional German and Ljotic troops headed toward Valjevo. I asked to stay off the main highway so we then encircled Obrenovac, crossed the Kolubara at its lowest point and avoided traffic, again meeting some German traffic on the Obrenovac-Sabac highway of little significance as the occupants of those vehicles were also afraid of attack. I returned to Budovinci in Macva area where I rejoined the American Mission.